Former US president Barack Obama has vowed support for young leaders in Europe and elsewhere who are trying to tackle problems such as climate change and inequality. A polar bear born at a German zoo has ventured outside to explore for the first time. A fugitive monkey has been reunited with her daughter at a Berlin zoo after being caught at a railway station in the German capital. 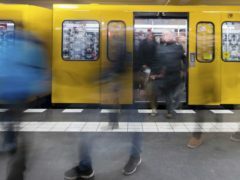 Travellers in Berlin will soon be able to use a single app to switch seamlessly between public transport, rental bikes, car-sharing and taxis without signing up for each service individually. An 11-week-old baby polar bear has received her first ever medical exam at a zoo in Berlin, where she was fully vaccinated and measured. 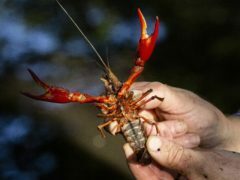 Fisherman Klaus Hidde wades through the ponds and creeks of Britzer Garten park in Berlin shortly after dawn to check his 17 traps, as he spearheads the city’s effort to rid its waters of invasive crayfish. 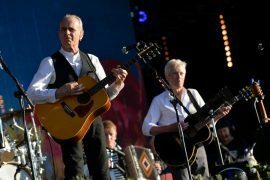 Status Quo have apologised to fans for cancelling Monday night’s show in Berlin after lead singer Francis Rossi was taken ill. The work of a North-east illustrator will be seen by hundreds of thousands of people as part of a symbolic transport project to bring together east and west Berlin. A new European Championships incorporating multiple sports is set to be hosted in Glasgow in 2018, it was today confirmed.